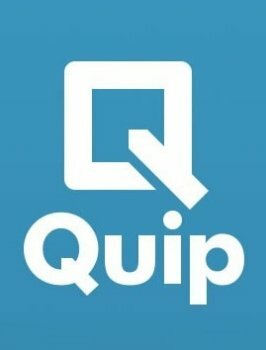 Quip - download in one click. Virus free. 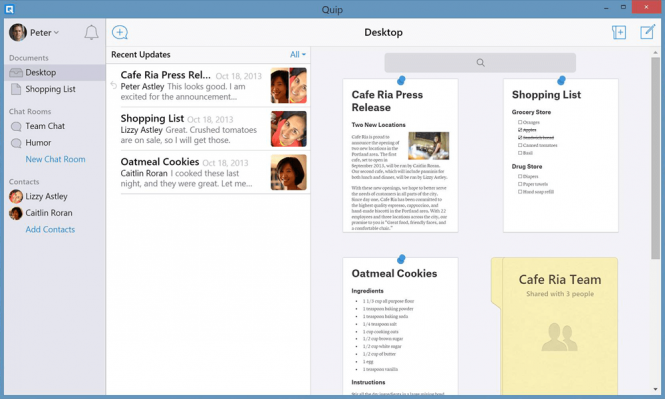 Download the latest version of Quip with just one click, without registration. It is a standalone setup package that contains the full offline installer for Quip. Quip is a project management solution that uses cloud services and works both as a desktop application and an online service. It helps organize collaborative work in teams with as few apps as possible. In particular, Quip provides both working tools and means of communication in one interface, so the team can communicate without emails. And it has both a system for commenting documents and instant messaging chats. As for tools for work, Quip supports interactive spreadsheets, saves documents, and provides checklists in the system. Users can create and edit any type of document, share it with the team, work on the same document as a team. The app also provides personal folders for each user, customizable to-do lists and lists of priorities to manage one's work. Quip can be used for offline working. All changes made will be added to the documents in the system after the Internet connection is re-established. 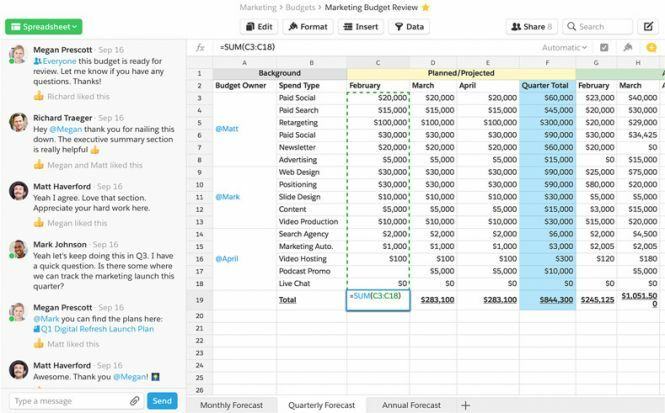 And in online mode, it can be equipped with additional customizable apps, such as Calendar Live App, Salesforce Record Live App, Kanban Live App for organizing your projects. The free version of Quip has few limitations on its functionality, and those mostly concern searching the chats (only the latest 1000 messages are searched) and saving the documents (time limit is 30 days), most of the main features work the same as in the paid version. The latter comes as two kinds of subscription plans: monthly or annual subscription for smaller teams and Enterprise subscription for large companies.